It’s not exactly hard to understand why Harrogate has been listed ‘Happiest Place to Live’ three years in a row (2013-2015), earning it’s nickname ‘Happygate’. We’ve got beautiful green spaces, low crime and unemployment, well-regarded schools, excellent NHS services, we’re close to idyllic countryside, and that’s not to mention the abundance of wonderful shops, restaurants, and cafes that we have access too. So, here’s something a little different for the blog this week. As part of #thinkingofyou week, I’ve been writing handwritten letters to all sorts of people in my life; from my nearest and dearest to those who to an amazing job in our community. 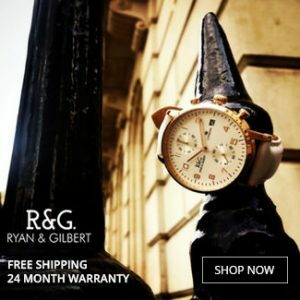 And when the Harrogate Hub reached out to me after reading my six month review post, I wanted to give them a shout out on my blog. Both ‘Minding the Gaps’, a survey of Harrogate’s unmet needs (2014) and ‘Vital Signs’ (2017), a more recent report on the area, uncovered serious problems, including high-risk levels of drinking, poverty, mental illness, and loneliness. Perhaps it’s not surprising that one of the reasons Harrogate lost its ranking as ‘happiest place’ was because residents couldn’t all positively respond to the statement, “I can be myself’, in the questionnaire. It’s hard to admit when we’re struggling and to actually be real with each other, especially when we live in a place where we’re expected to have everything. Thankfully, we are seeing emotional wellbeing becoming a hot topic of conversation, and through awareness weeks and people sharing their stories over social media, previously stigmatised issues are starting to be given more attention. The Harrogate Hub is one of the local charities that is working to change the stigma attached to issues like mental health, domestic abuse, and dementia, and is encouraging people to seek support. The Hub is conveniently placed right in the centre of town at 39 Oxford Street, so you can easily pop in between shopping errands. 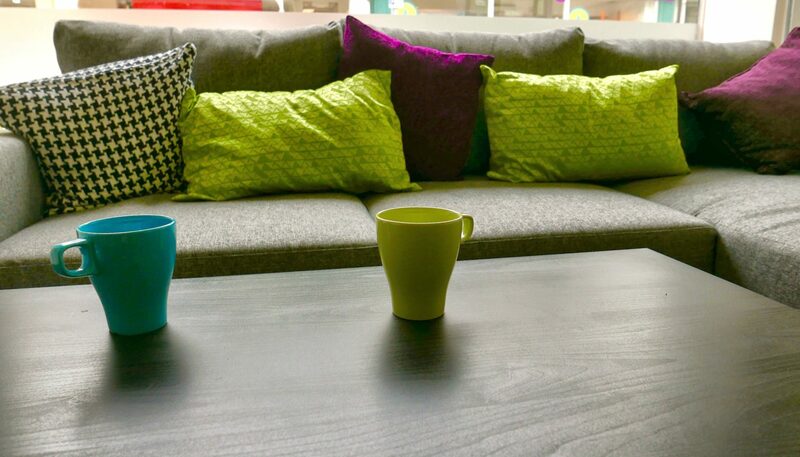 It’s a peaceful community space where you’ll be given a very warm welcome, a cuppa and maybe even a homemade biscuit! The team of trained volunteers come from a variety of local churches and provide a listening ear and non-judgemental support. They befriend and walk along-side anyone who comes through the doors. It’s a place where you can talk through the challenges you’re facing, whatever your age, race, gender, beliefs, or sexual orientation. The volunteers can also provide practical help (filling in forms, sourcing furniture etc.) and signpost to specialist services, churches, and community groups. The Hub is well connected with many different organisations within the community, so volunteers can help people find the best support for them. The Hub is also facilitating conversations between local churches, the third sector and public sector, with the aim of working together with the community to look out for people who may be in need of support, making sure that no one is forgotten or isolated. Would you like to be part of the Hub community? 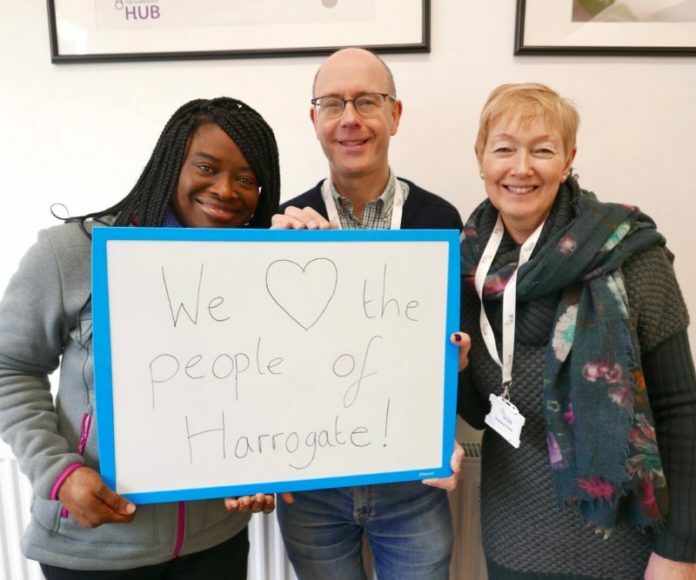 Whether you’d like to receive support, know someone who could benefit from the Hub’s services, or would like to get involved in the work of the Hub yourself, you will be warmly welcomed into the Harrogate Hub community. The charity is constantly on the look out for volunteers and fundraisers, so if you’re great at listening, love a bit of admin, or fancy doing a sponsored challenge, then the Hub team would be delighted to hear from you. 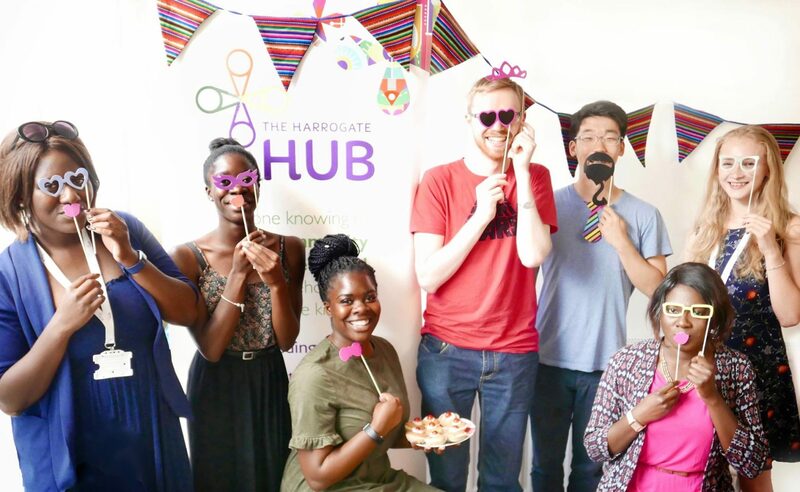 And if you work for a support service or church in Harrogate, and haven’t already been in touch, you might also like to get connected with the Hub. The more the local community works together, the happier and healthier the community will be. But that might mean that we actually have to admit we’re not all 100% happy in ‘Happygate’. And that’s totally ok.